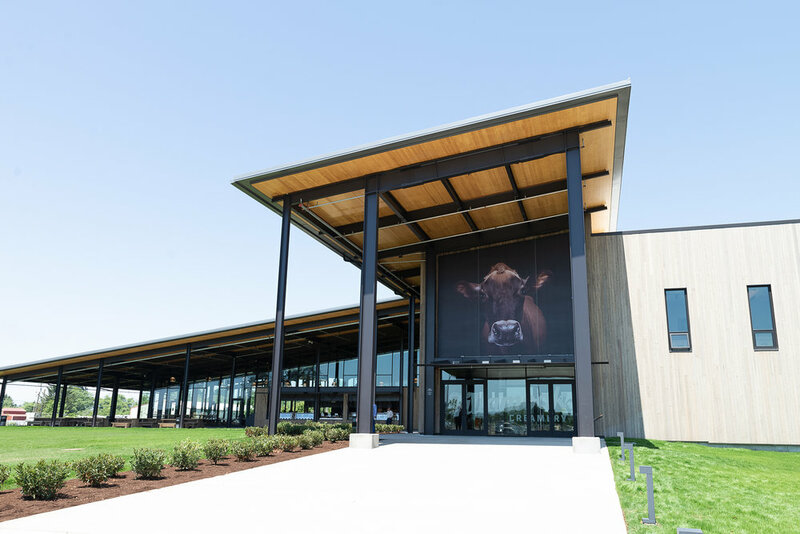 Tillamook Creamery Visitor Center — Formations, Inc. 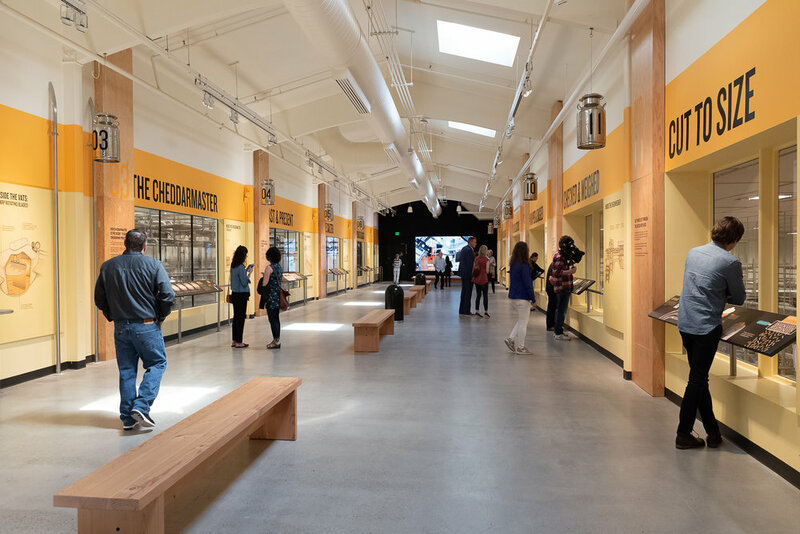 Formations fabricated and installed 7,500 square feet of exhibits for the new Tillamook Creamery Visitor Center, “a greeting card not just for Tillamook but the entire state of Oregon” as described by Oregon Governor Kate Brown. Through new experiences that satisfy an appetite for engagement, learning, and fun—and cheese and ice cream—visitors discover the history of the creamery, get to know the people behind the products, and learn what it takes on the farm, and in the factory to create quality products. 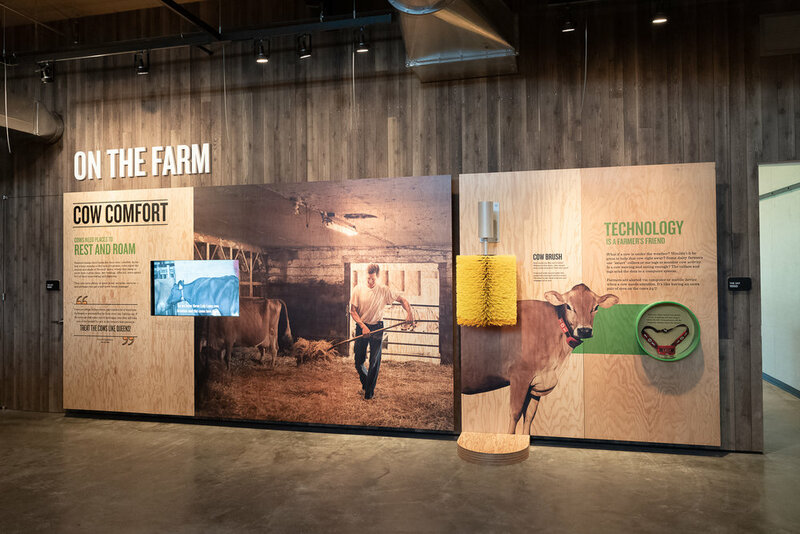 Visitors “feed” a calf, “milk” a cow, and follow along the step-by-step cheese-making process from the viewing area above the factory floor—then sample the products at the cheese bar. Visitors are greeted by a display of suspended cheese blocks and floor-to-ceiling graphics printed directly to ApplePly plywood. Formations fabricated this custom “baby loaf” bus that serves as a unique photo opportunity. Visitors learn about the many steps of turning milk into cheese and watch the process in action in the nearby observation windows. 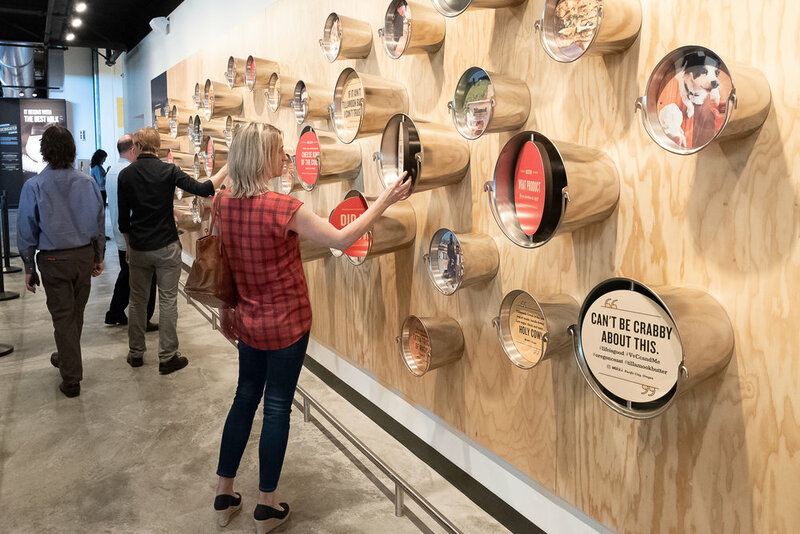 Spinning HPL panels feature photos and quotes submitted by fans of Tillamook and are housed in milk buckets mounted to the exhibit wall. Direct-print infographic overviews how new products are developed at Tillamook. Formations fabricated a multitude of experiences designed to draw the visitor into engagement—direct-print-onto-plywood graphics, artifacts and touchable objects, and an AV program.